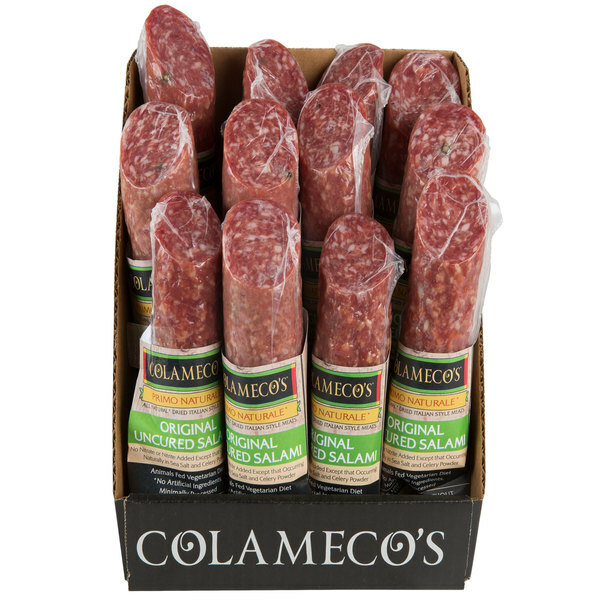 This Colameco's Primo Naturale original uncured salami delivers an irresistible, well-balanced flavor profile that will leave any customer wanting more! 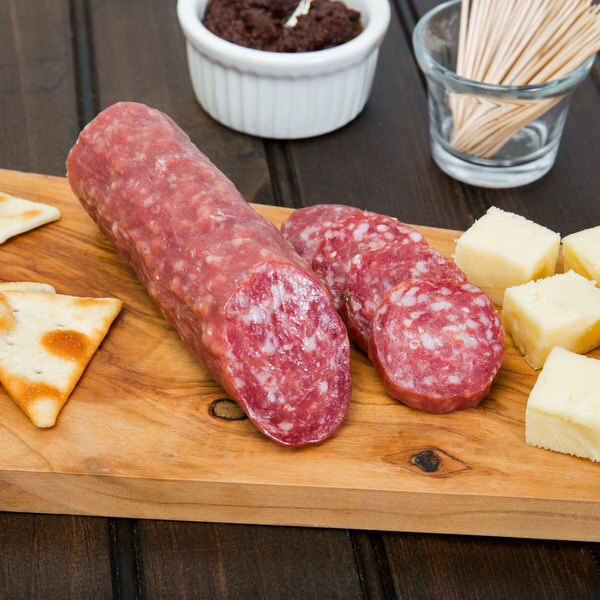 This marbled, all natural meat is packed with a unique blend of Italian style seasonings to produce an unmistakable sweet and savory flavor, with notes of garlic and pepper accentuated by organic wine. 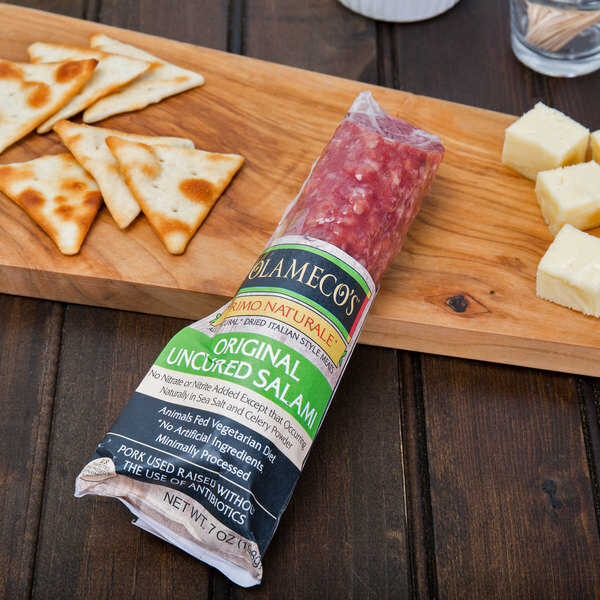 Showcase in your deli for customers to purchase for their own home use, or create a meat, cheese, and fruit snack box that is a perfect light, yet satisfying solution for your on-the-go customers. When creating a memorable charcuterie board, incorporate with goat cheese or burrata, grilled crostini, kalamata olives, and figs, complemented by your guests' wine of choice.